Ben Selecman was 28 and married to the singer's daughter, Mattie Jackson Selecman. The son-in-law of country music star Alan Jackson died Wednesday after sustaining traumatic head injuries in a fall, authorities said. 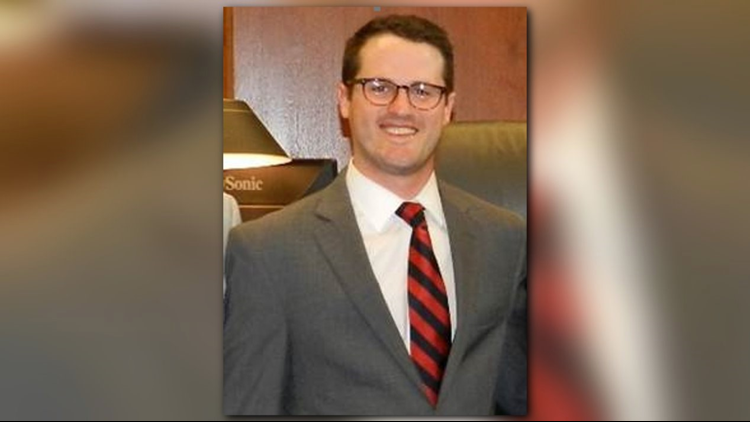 Ben Selecman suffered severe injuries after falling while helping a woman onto a boat in Florida, according to information released by the Davidson County District Attorney's Office in Nashville, where he worked as an assistant district attorney. He was 28 and married to the singer's daughter, Mattie Jackson Selecman. "He was really a rising star and I'm sick that we lost him, but I'm grateful for every day that he worked for us because he was great," Davidson County District Attorney Glenn Funk said Thursday. Funk said the DA’s office is "thankful for every day that Ben had the opportunity to serve the people of Davidson County. Our prayers are with Ben’s family. He will be truly missed." Mattie Jackson Selecman, a Nashville native, previously owned Salt & Vine in Sylvan Heights, which closed its doors in June.